Looks good Justin. Are you planning to make some more of the hands? craftco wrote: Looks good Justin. Are you planning to make some more of the hands? I can make the old hands they are 125.00 I will be doing a new sculpture soon but not sure how soon I can get to them. 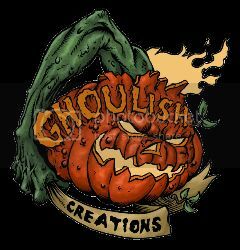 the green ghoul wrote: I can make the old hands they are 125.00 I will be doing a new sculpture soon but not sure how soon I can get to them. I will take a set if you have some available. I\'m also interested in a pair of New Blood hand for my SirBrad New Blood costume. Do you still have some hand for sale please? PM me if possible. Thanks! The chest sculpt looks great man! I may have to upgrade some stuff once these are done and available! Also looking forward to the vengeance and hands i ordered a couple weeks ago. So stoked! I\'m loving the chest sculpt! It looks great so far! I can\'t wait to get me one of these. No suits anymore, I guess? Have you sculpted the hands yet? And if no, are the old gloves still available?